A new event by the Friends when you can find out how to identify trees before they come into leaf, looking at some key trees on the farm. Last few places available for this Saturday. 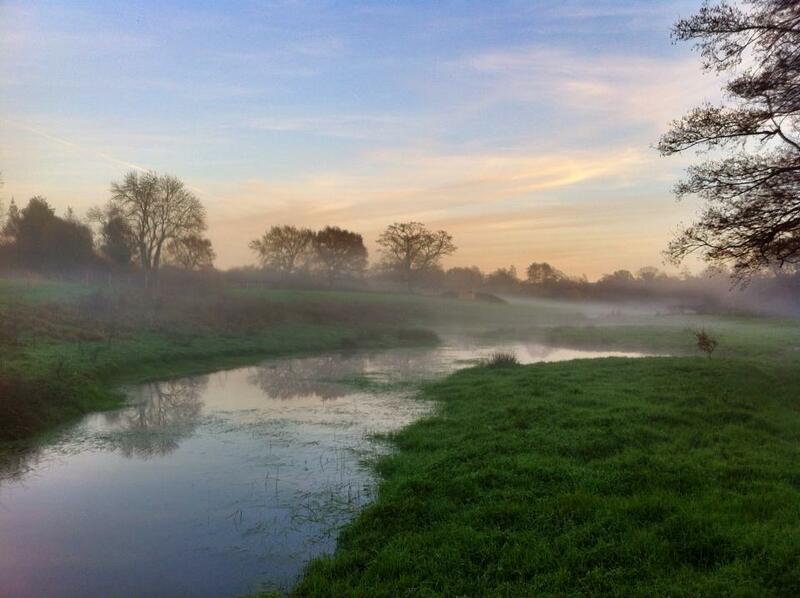 Wetland tasks Sunday 24, 10.00-12.00 Some of you may have waded through the puddle at the entrance to the wetland area. Following on from the wardens’ initial clearance, we are setting up a mini task force to finish the job for them along with some timely pruning on the boardwalk before animals are too active. Let us know if you can make it please? Refreshments will be provided of course! The Friends will have an information stall at “Seedy Saturday”, now part of the weekend’s Kinder Living Home Show, in County Hall North (Parkside). We would be delighted to see you! Our regular litter pick volunteers tirelessly clear up after careless and anti-social farm visitors (yes there are some! ), the first Saturday afternoon of most months. You are very welcome to join them, either regularly or when it suits you! The Friends’ contribution to the Great British Spring Clean 2019. This is our annual clear up in the Volunteer Centre and some key farm areas too. 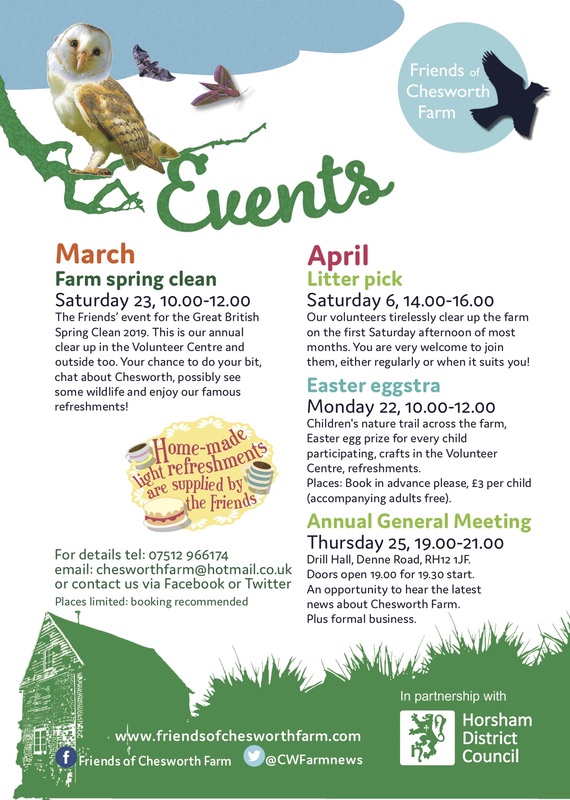 Your chance to do your bit, chat about Chesworth, possibly see some wildlife and enjoy our famous refreshments! Children’s annual nature trail across the farm, Easter egg prize for every child participating, crafts in the Volunteer Centre, refreshments. Places: Book in advance please, £3 per child (accompanying adults free). Annual General Meeting event Thursday 25, 19.00-21.00 Drill Hall, Denne Road. Doors open 19.00 for 19.30 start. An opportunity to hear the latest Chesworth news, elect the voluntary committee and to renew your Friends subscription if you do this in person. More details to follow. 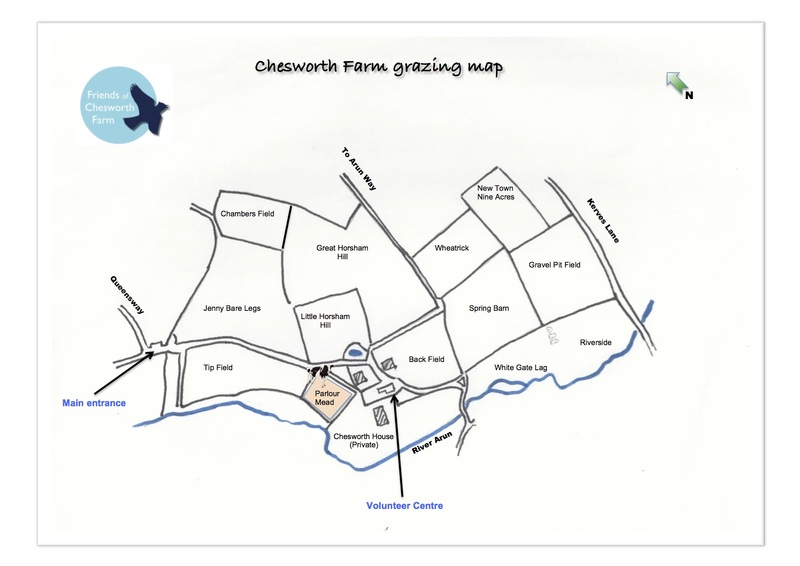 For details of all the events and tasks and how to book on those with limited places: you can contact us here, email us at chesworthfarm@hotmail.co.uk or tel 07512 966174 (answer phone). 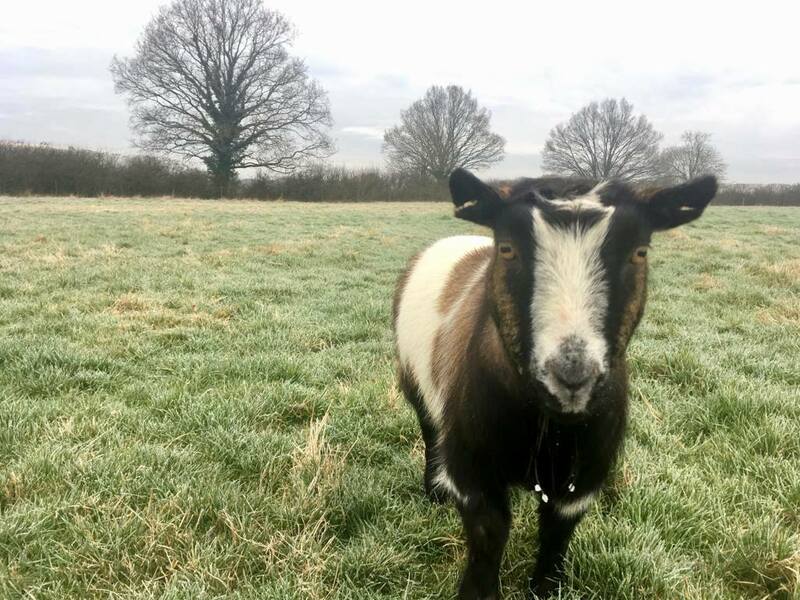 A little update: the pygmy goats, sheep and the llamas are now grazing in Little Horsham Hill field, the enclosed field within Great Horsham Hill. Here’s a picture from the HDC countryside team of one of the goats, garlanded with his own icicles, due to this morning’s chilly start. The British White cattle have now been moved into Tip Field by the HDC countryside team as planned. As most of you know, this is the enclosed (no public access) field sandwiched between the wet Horsham Riverside Walk loop and the Pedlars Way main track, on the right as you enter the farm from the Queensway entrance. 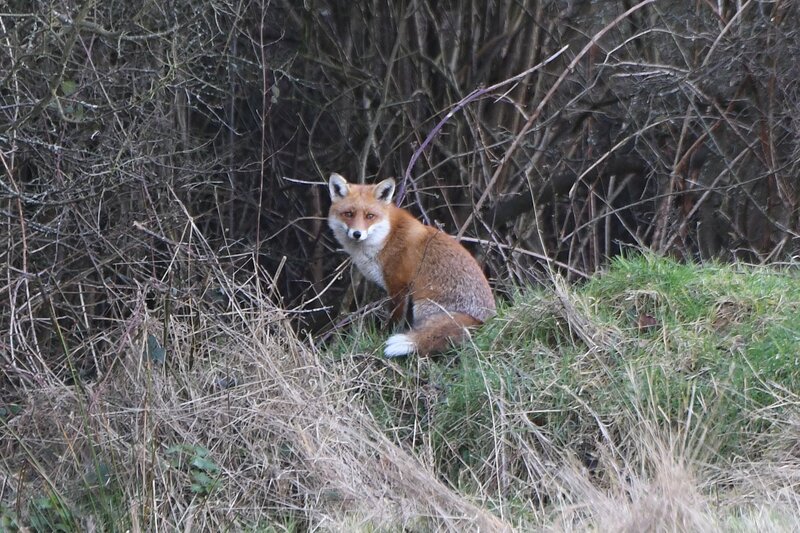 They should remain there for a month or so, any changes, Horsham Countryside will update us. If you are after nice views of the animals, you can still see them from the gateways or over the hedge from Parlour Mead. 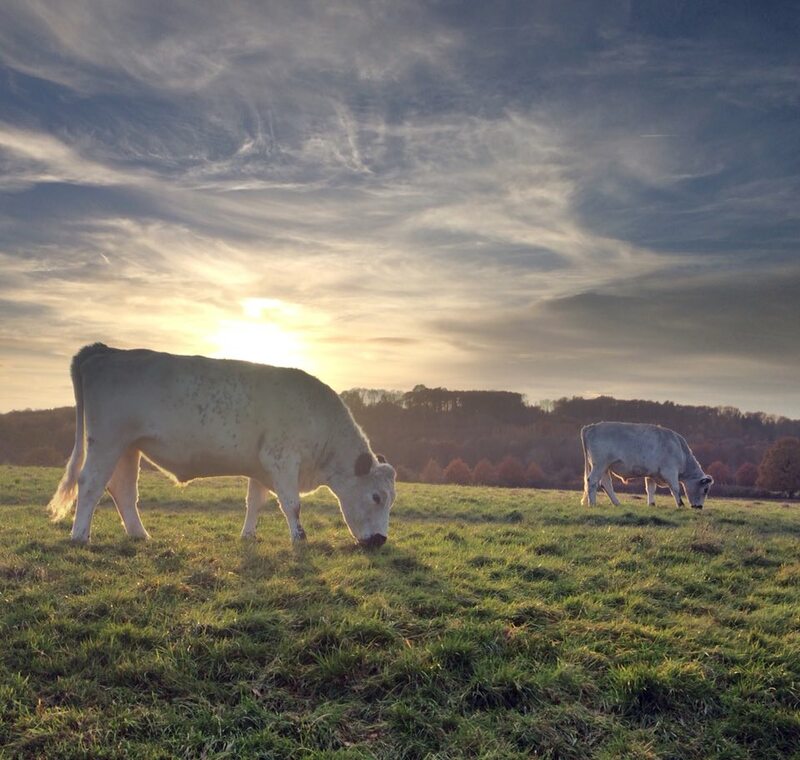 If you have any further questions about the grazing or would like more information about the management of Chesworth Farm then please contact the countryside team via parks@horsham.gov.uk or 01403 215100. 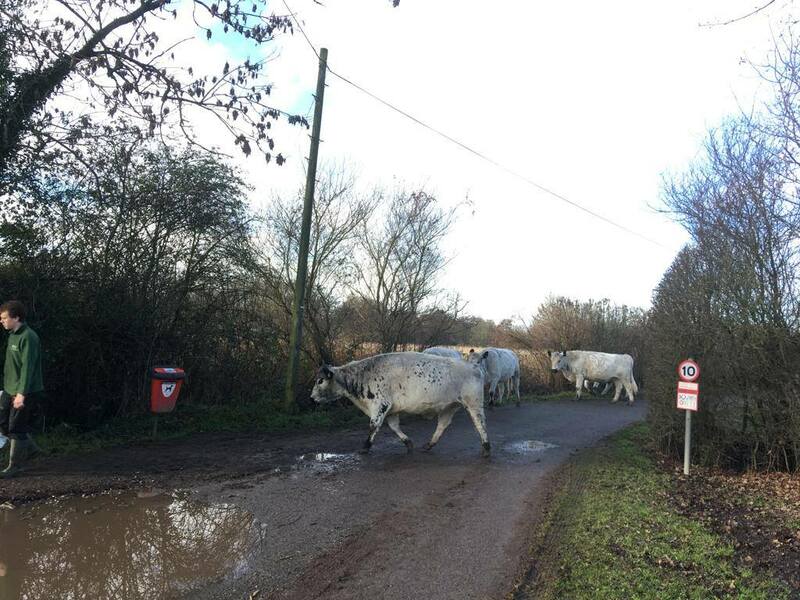 The British White cattle have been moved by the HDC countryside team to Parlour Mead, the public access field at one end of the Horsham Riverside Walk loop. Here they will stay until into the new year. They are likely then to move into adjoining Tip Field (enclosed, no public access) as the next part of their grazing plan. 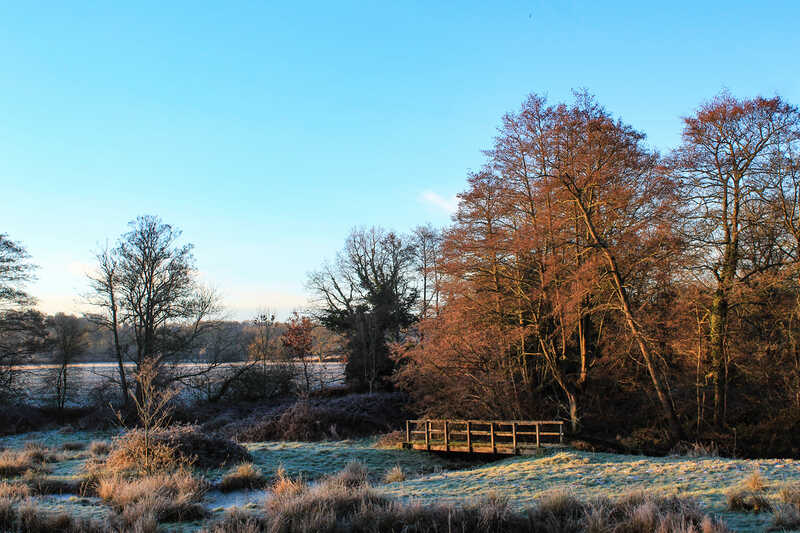 If you have any further questions about the grazing or would like more information about the management of Chesworth Farm then please contact the countryside team at: parks@horsham.gov.uk or 01403 215100.